BitcoinNews.com fully complies with the rules under the new GDPR (General Data Protection Regulation). How we handle European citizens’ information is regulated by the ICO (Information Commissioner’s Office). However, this notice refers to all users worldwide. This notice covers the services that are offered by BitcoinNews.com and services offered by parts of our group such as the BitcoinNews.com Daily Podcast and certain independent partners. What is not covered in this notice? Our services sometimes link to services run by other businesses such as but not limited to our independent partner Bitcoin PR Buzz. Those businesses have their own privacy and cookies policies, when following links to such businesses the information you give them will follow their guidelines and not ours. 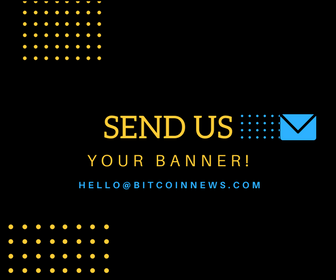 We sometimes offer BitcoinNews branded services to other companies, such as in Bitcoin PR Buzz’s press release and article packages and other services offered by newswires and PR agents. Make sure to check their privacy policies independently so you know how they will use your information. How do you safeguard my private data? We’re very committed to protecting your private data which is why we are adapting our routines and services to benefit your security. Some of the ways in we do this is to keep the access limited to only a few core team members, use password protection and encrypted software. In the meantime, no website including ours can be completely secure – on the off chance that you have any worries that your individual data has been put in danger, for instance if you are contacted by individuals that have accessed information that may originate from BitcoinNews.com please contact us straight away. Some companies that provide services to us run their businesses from outside the European Economic Area. We cooperate with businesses if we are satisfied with their levels of security. Keep in mind that when you give us personal information it could be transferred, stored or handled by a server outside the EEA. What types of personal information does the BitcoinNews.com collect about me? We might ask for your name, email and other contact details, your date of birth or financial details, depending on what services you are using. If you apply to take part in polls, for example, we might ask you about your political standpoints. This might include information you share with us such as names, regions, platforms and any other details provided. If you purchase a service such as sponsored articles, press releases or as a podcast sponsor we will collect information such as company registration details and financial details. We do automatically collect and store some technical information from these types of gadgets and web browsers. This is mainly referring to if you have shared or mentioned us on social media platforms such as but not limited to Facebook, Twitter, Reddit, LinkedIn and BitcoinTalk. Example: if you have shared or mentioned us in a Twitter post, we may collect and store your Twitter handle. We also collect information about how you use our services, like the articles you read, the articles you are commenting and/or sharing on social media and the podcast episodes you listen to. We try to provide as much accurate details about why we need your information and how we will use it before you begin using our services. However, details that may seem trivial may also be missing this is not done by purpose. How long will BitcoinNews.com keep my personal information? How may BitcoinNews.com use my personal data? BitcoinNews.com must have a valid cause to use your personal data. This goes under the regulation “lawful basis for processing”. We may ask for your consent to do things, like when you subscribe to a newsletter. We may use your personal information without consent when we are legally allowed to do so such as when we collect information from other service providers or social media. to process your inquiries, complaints or suggestions on how to improve our features or services. to offer a news service and products based on our demographic’s needs and interests. And to make sure that our new features are of interest and benefits our audience. to help us appreciate what kind of news you like and services you might benefit from and in certain cases how you share things with other people. to show you advertising tailored for you. to study and to revolutionize. You are not a test subject but to learn about your habits on this platform and how you use our services may very well lead to the next advancements within the news sector. When will BitcoinNews.com use my data to contact me? to check with you about any services that you have signed up for such as newsletters. to invite you to take part in surveys or reviews if you have purchased or signed up for a service. to send you notification on your device if you have pre-selected them such as notifications. When does the BitcoinNews.com share my data with partners? BitcoinNews will not sell your data. We do however share your information when you make a public post, when we use other companies’ services; such as when we need to understand how you are using our services we may use other services to process your personal information. We carefully select these services and only share with them what they need to know in order to provide that service and we do review their policies regarding how they handle your information closely. We may under certain circumstances be required to share your information for legal reasons and other times we might conduct collaborative research. This might include data collected about you but we are restricting this information on a need to know basis and we careful about how this information may be used by our partners. Can I delete the collected information? This depends on what information it is, we keep a record of how you have used our services, but this information cannot be tracked back to you. We keep anything you have uploaded or commented on and this will be deleted upon request. Financial details may be deleted upon request if we are legally allowed to do so. Can I access the information gathered? to change your mind, and ask us to stop using your information such as unsubscribing to newsletters and mailing lists. Please note that we might not be able to assist you such as in legal matters or when it is in violation of our journalistic policies. Computer cookies are small files which are stored on your computer or mobile when you visit a website or app and remain on that device until you delete the web history or change your settings on your device. to remember your preferences and settings such as notifications. to find out if our emails have been received. A few aspects of service would not be able to operate without computer cookies. Techies refer to these as “strictly necessary cookies”. This type of cookies are automatically activated when you use our website. We use other types of cookies too such as functional, performance and advertising cookies optimize your experience. These will only be activated if you have agreed beforehand and can be inactivated if you change your mind. “Third-Party Cookies” might track how you use platforms such as ours, these belong to other companies unrelated to us. Example: you might get a social media business’ cookie when you share something. You may have the option to turn them off but not with us. How long does cookies last on your device? Some cookies are erased when you close the browser on your device or app. Some stay for an extended period and is saved on your device when you return. When you first visit us, we’ll tell you about our cookies and ask you to agree to letting us use them by clicking the button “I agree” or closing the box. You can always change your mind, wipe the cookies from your device or change your settings on your computer or mobile device. Please note that restricting our cookies may result in some of our services not working properly. Other ways to manage tracking tools such as cookies are restricted to your device. Please refer to your manufacturer in these cases. We update this notice regularly due to new rules or policy changes. If we make important changes, like how we use your personal information, we notify you when you visit our website. You may choose to not use our platform if you do not agree to changes made to this notice but we much prefer that you contact us with your concerns first. How can I contact BitcoinNews.com? How we handle European citizens information is regulated by the ICO (Information Commissioner’s Office). Please contact then if you have questions regarding the GDPR (General Data Protection Regulation) or if you need advice and support.